A photograph from Alphonse Bertillon's photo album from his exhibition at the 1893 World's Columbian Exposition in Chicago. "Every measurement slowly reveals the workings of the criminal. Careful observation and patience will reveal the truth." After the invention of photography, police began to keep "rogues' galleries," disorganized photographic collections of suspects and convicts. What was needed was a way to retrieve images and information quickly. In 1879, Alphonse Bertillon invented a method that combined detailed measurement and classification of unique features with frontal and profile photographs of suspects—and which recorded the information on standardized cards in orderly files. Bertillon's system was based on five primary measurements: (1) head length; (2) head breadth; (3) length of the middle finger; (4) the length of the left foot; (5) the length of the "cubit" (the forearm from the elbow to the extremity of the middle finger). Each principal heading was further subdivided into three classes of "small," "medium" and "large." The length of the little finger and the eye color were also recorded. Bertillon's system was later overtaken by fingerprinting, but the Bertillon "mug shot" endures. 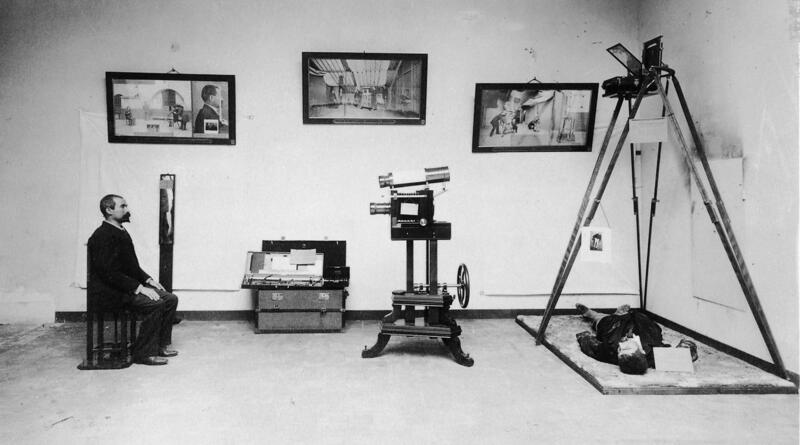 Alphonse Bertillon used photography and measurement to create a record of unique identifiers that could be used to track suspects, inmates, and repeat offenders. His system depended on a complicated filing method that cross-referenced a standardized set of identifying characteristics, making the information retrievable. From a mass of details, recorded on hundreds of thousands of cards, it was possible to sift and sort down the cards until a small stack of cards produced the combined facts of the measurements of the individual sought. The cards were arranged to make efficient use of space. The identification process was entirely independent of names and the final identification was confirmed by the photographs included on the individual's card. Although it was somewhat difficult to use, modernizers in many countries took it as a model system for tracking and controlling individual citizens and immigrants. Bertillon devised a method to document and study the victim's body and circumstances of death. Using a camera on a high tripod, lens facing the ground, a police photographer made top-down views of the crime scene to record all the details in the immediate vicinity of a victim's body. Early in the 20th century, police departments began to use Bertillon's method to photograph murder scenes.